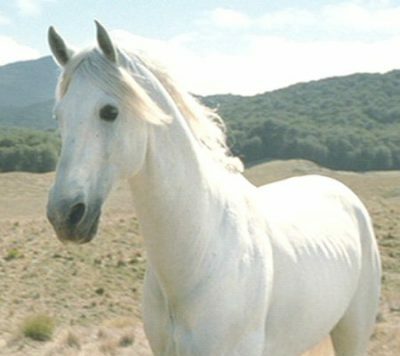 Shadowfax was the finest of the Mearas, a line of horses bred by the Kings of Rohan. 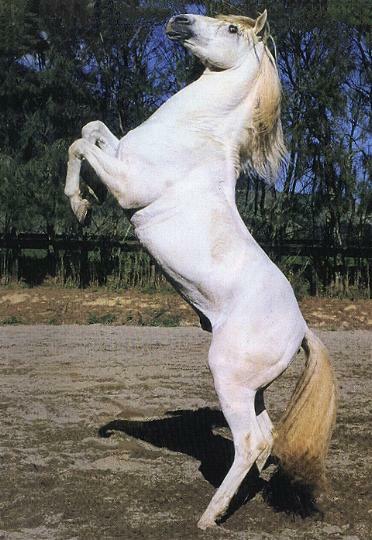 He was a silvery-gray stallion, intelligent, able to understand human speech, courageous, and swift. 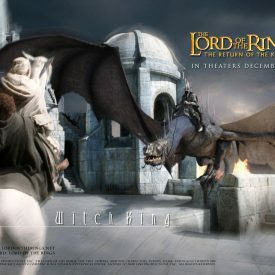 It was said that he could run as fast as the fell beasts of the Nazgûl could fly. 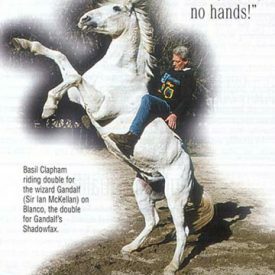 Shadowfax was wild, and the Rohirrim had been unable to ride him. 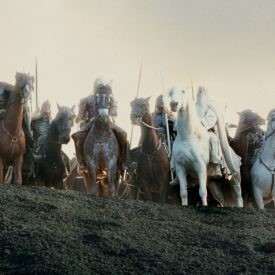 When Gandalf the Gray came to Rohan after his escape from Orthanc (near the beginning of The Lord of the Rings), King Théoden gave the wizard his choice of the Rohan horses just to get rid of him. 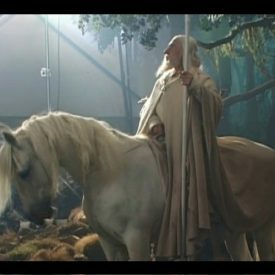 He was not pleased when Gandalf chose Shadowfax. 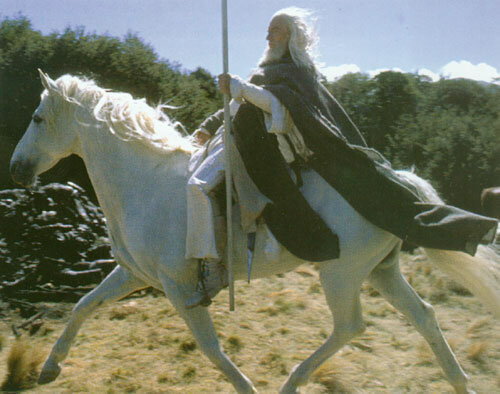 The gray wizard tamed Shadowfax, who then carried him swiftly to the Shire and toward Rivendell. 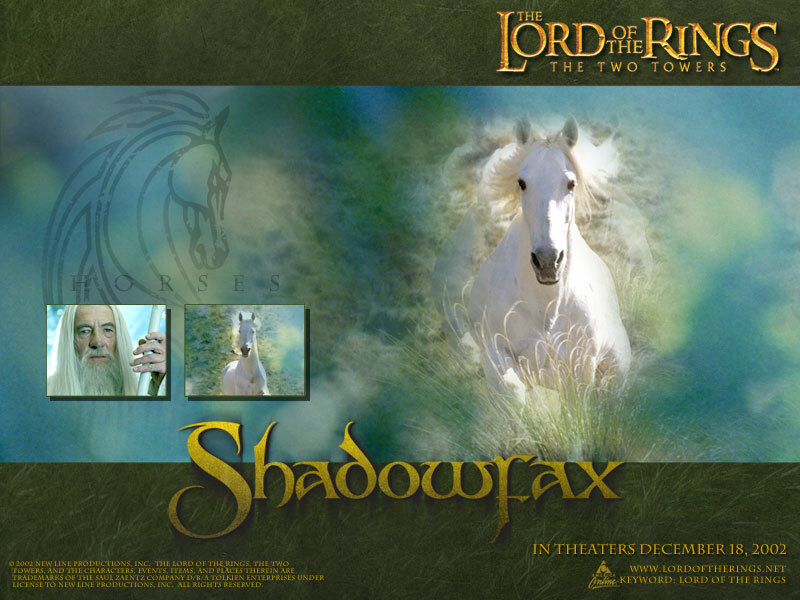 Gandalf released Shadowfax before arriving in Rivendell, and the stallion returned to Rohan on his own. 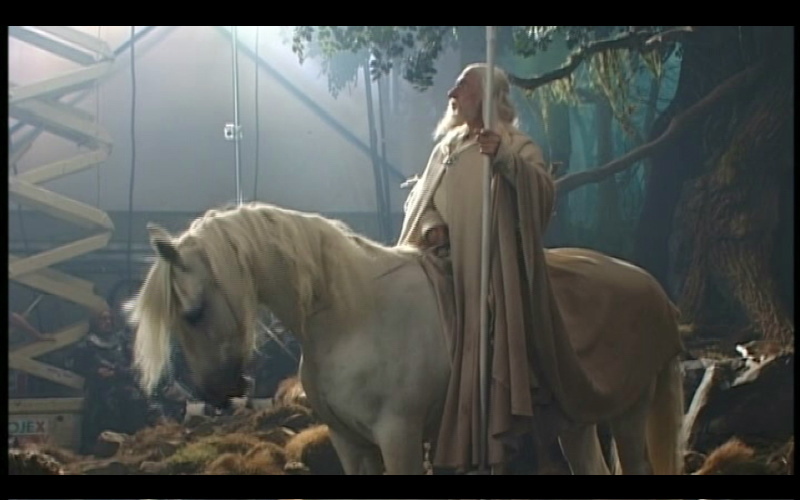 They did not meet again until Gandalf (the White) returned to Rohan as part of the Fellowship. 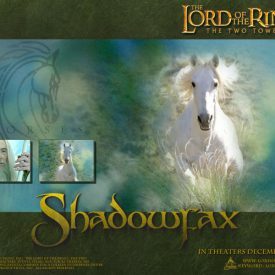 Gandalf called for Shadowfax, who came to him and partnered with Gandalf throughout the War of the Ring. Théoden himself rode Snowmane, another fine Mearas steed, but the king said that there would never be a finer horse in Middle-earth than Shadowfax. 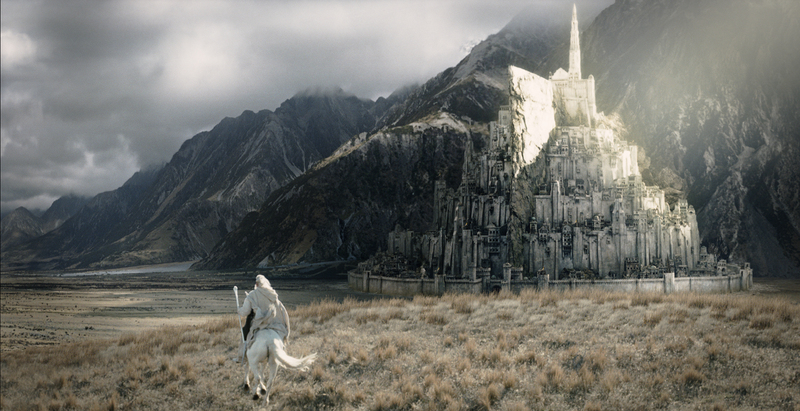 Gandalf referred to him as the “chief” of the Mearas. 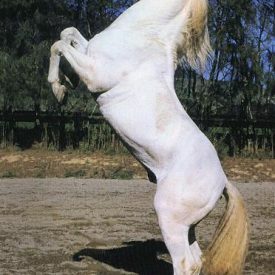 In the films, Shadowfax was played by two Andalusian stallions, Blanco and Demero. 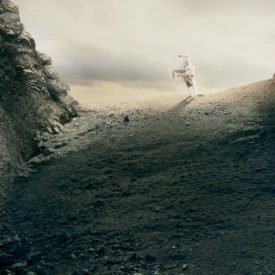 They were trained by Don Reynolds. 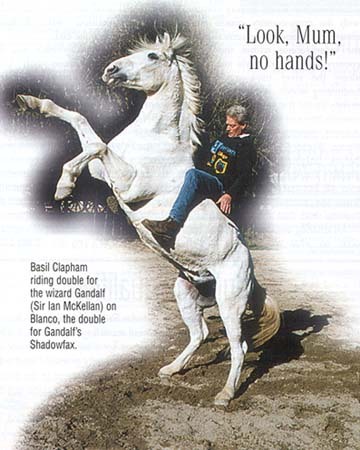 Basil Clapham acted as Sir Ian McKellen’s “riding double.” In the books, Shadowfax was ridden without bridle or saddle. 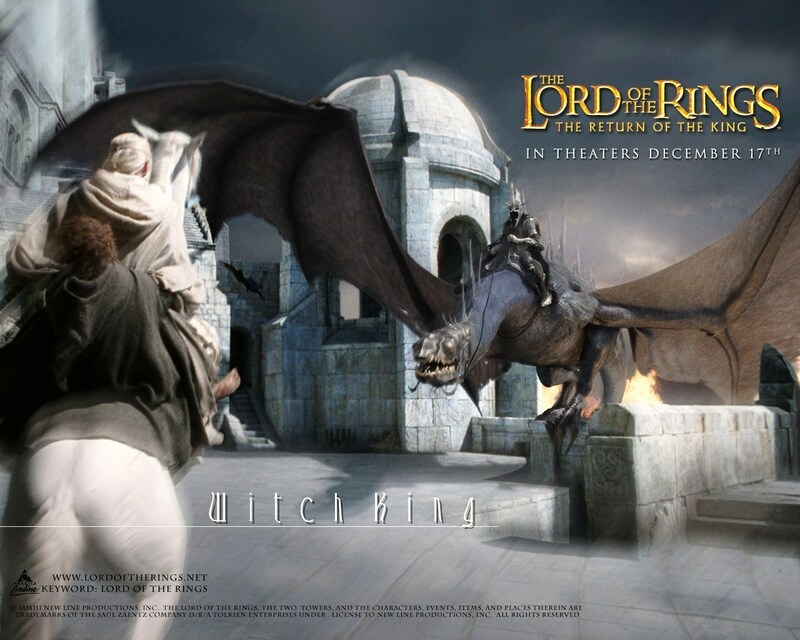 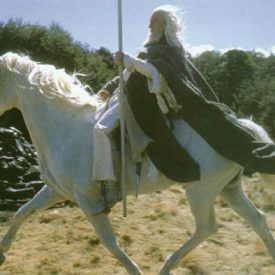 In the films, there is a sneaky saddle with stirrups that were not always well hidden under Gandalf’s robes. 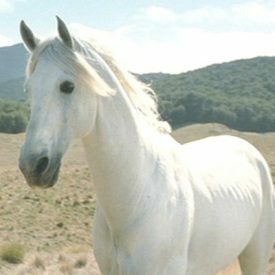 The first video, by Yoystan of the Men of the West YouTube channel, is an excellent introduction to the Mearas and especially Shadowfax. 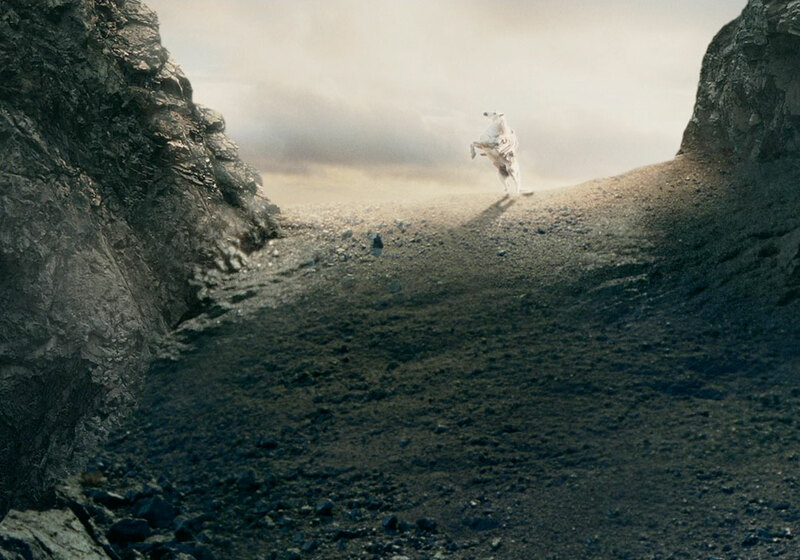 The channel has over 100 other videos exploring different aspects of J.R.R. 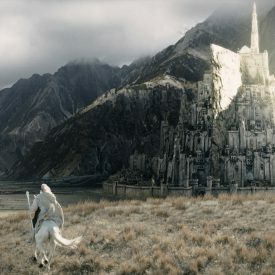 Tolkien’s stories, worlds, and beings.